We all know how important it is to reduce our environmental footprint, but it can be daunting to know where to begin. 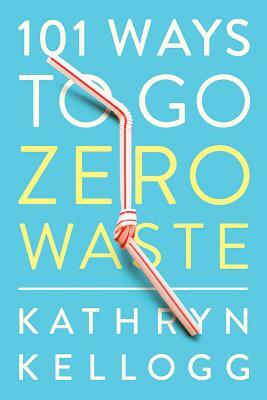 Enter Kathryn Kellogg, who can fit all her trash from the past two years into a 16-ounce mason jar. How? She starts by saying "no" to straws and grocery bags, and "yes" to a reusable water bottle and compostable dish scrubbers. In 101 Ways to Go Zero Waste, Kellogg shares these tips and more, along with DIY recipes for beauty and home; advice for responsible consumption and making better choices for home goods, fashion, and the office; and even secrets for how to go waste free at the airport. "It's not about perfection," she says. "It's about making better choices."